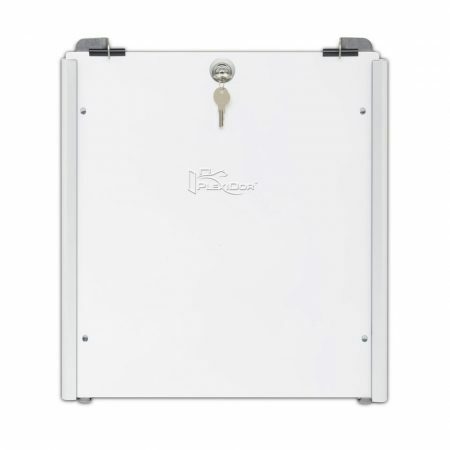 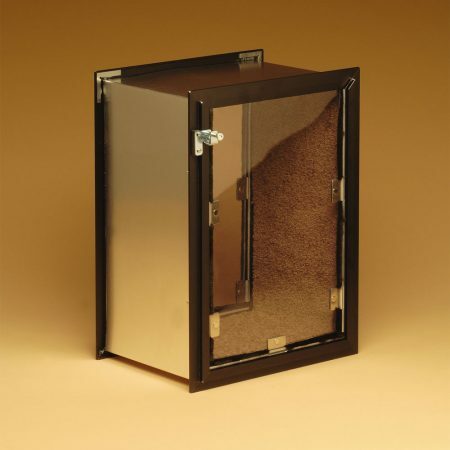 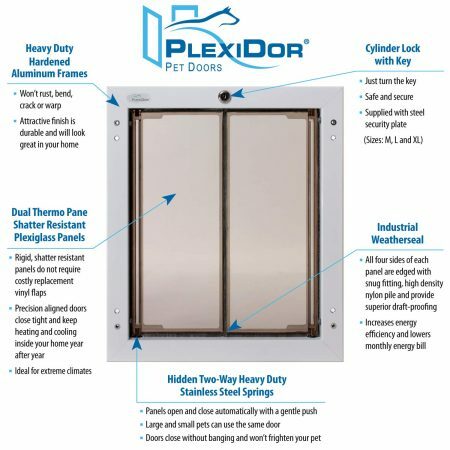 PlexiDor® Pet Doors do not require costly vinyl replacement flaps. 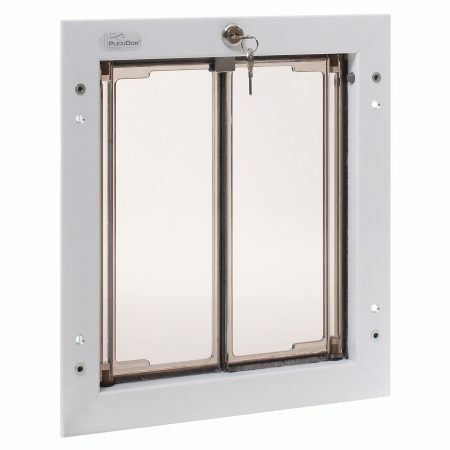 The unique saloon style, shatter resistant dual thermo-pane, hardened acrylic panels open and close with a gentle push and automatically close without banging. 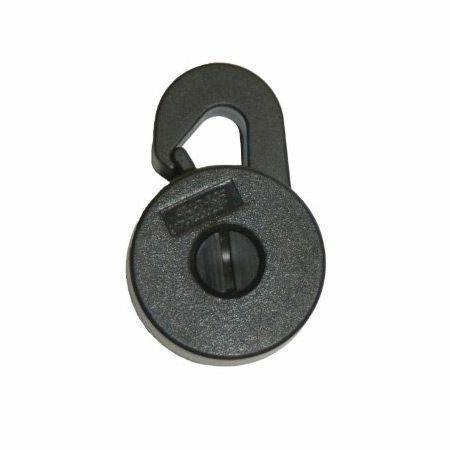 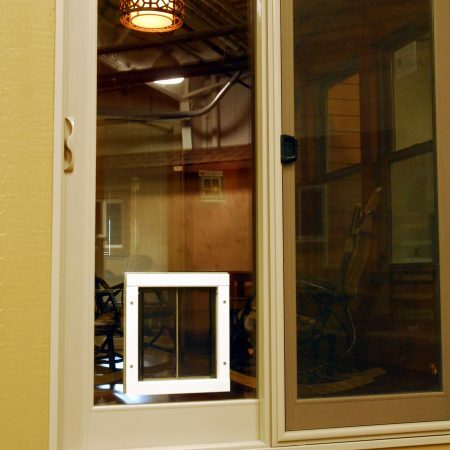 Each panel is lined around all four edges with snug fitting, high density, industrial nylon pile weather seal to provide superior draft-control. 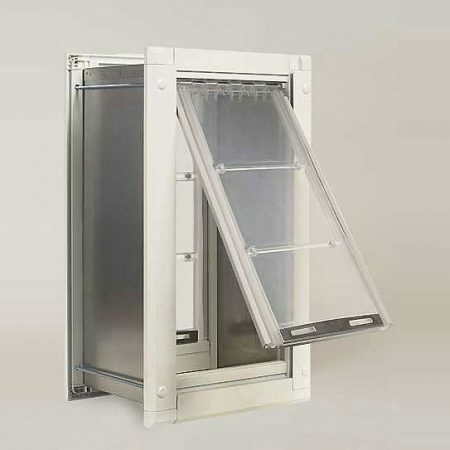 When closed, the panels reduce air conditioning and heat loss. 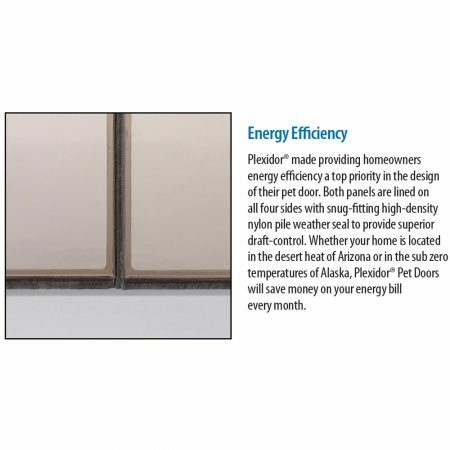 So whether you live in the hot desert climate of Arizona or in the frigid cold of Alaska, PlexiDor® will save you money every month. 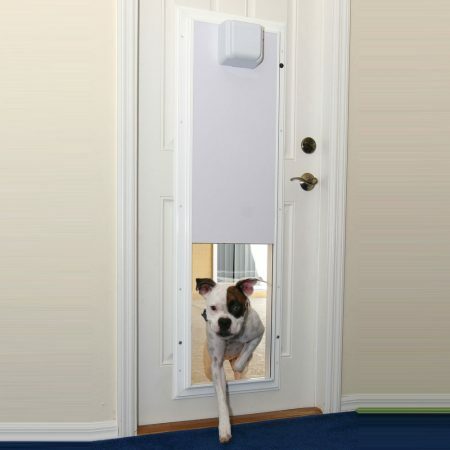 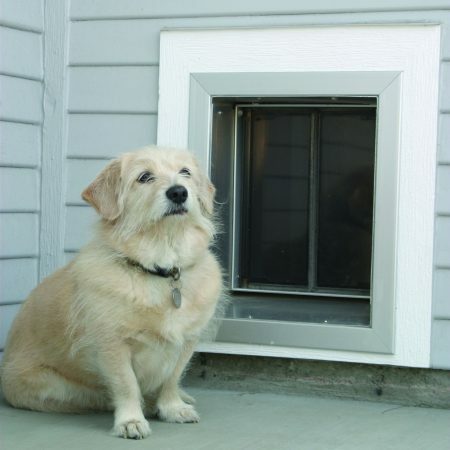 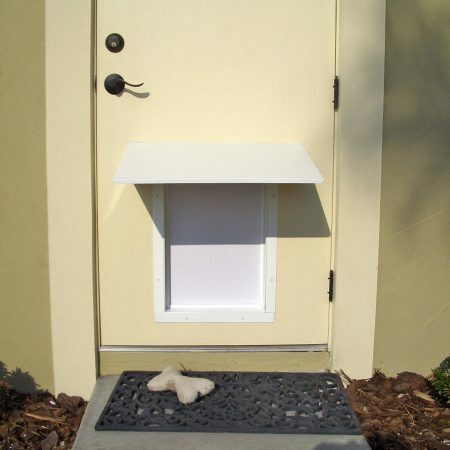 Your pet will love the smooth, quiet and safe doors and you’ll love seeing a lower energy bill.